Best LED Grow Lights from our friends at LED Grow Lights Depot. There are a multitude of LED Grow Lights on the market at all price levels and with or without all the bells and whistles. Sometimes the quality is what it should be but sometimes–well, some manufacturers cut corners to cut costs. And the opinions about LED Grow Lights are just like belly-buttons–everybody has one. So it can be hard or even impossible to find the lights that are best for your indoor garden. That’s where we come in–we do the work of sorting out what is good, what is worth the cost and even sometimes what to avoid completely. Our top ten LED Grow Light Reviews for 2019 are posted on our front page and on the front page at our sister site, MaryJane Farmer’s 420Beginner.com. But the fun doesn’t stop there–and neither do the LED Grow Light Reviews. Our friends at LED Grow Lights Depot sell a wide variety of lights and growing products and they have put out their own Top Ten review for 2019. Naturally it contains the products that they sell, but there is nothing against tooting your own horn. Here at BigBudsguide, we don’t copy somebody else’s content but we certainly can comment on what someone else publishes. So here is a brief synopsis of the Top Ten LED Grow Lights as listed by the folks at LED Grow Lights Depot. 1 Best LED Grow Lights from our friends at LED Grow Lights Depot. 5 Research says this light grows better cannabis. 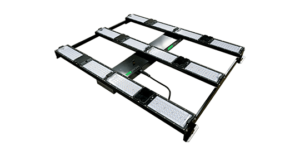 The next light is Gavita’s top of the line and most powerful model. Again, this is a good light for commercial operations but maybe a bit pricey for the smaller grower. 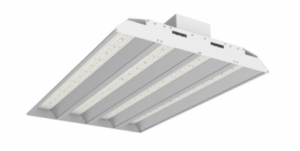 This light has a low profile, which would be useful in low-ceiling rooms or in vertically stacked multiple grow spaces. The company claims that it’s multilayer LED construction allows a more uniform light distribution. Research says this light grows better cannabis. Moving to number 4, is another pricey choice, this one from the well-known Black Dog line of LED Grow Lights. These lights are also made in the USA and come from Amazon in a bundle that includes a “Legalize Tomatoes” sticker, good for those American backwater states where MaryJane is not welcome. (Check out MaryJane’s interactive Global Weed Infographic of US and world cannabis laws, soon to be updated with the 2018 Revolution.) Black Dog has several lights in various sizes with various add-ons. Here are a few of them. The next light is a DIY project which requires putting together the four Quantum Boards comprising the HLG 600. The Depot calls this light its “best bang for the buck” light at $692.00. Buy on LedGrowLightsDepot.com . However, if you are handy with Do It Yourself projects requiring no more than a screwdriver and a wire stripper, you can save a ton of money by buying one or more of the same Quantum boards from Amazon. This light has several positive reviews raving about the light, about customer support from HLG and about the ease of assembly. LED Grow Lights Depot also has a video showing how to put the light together. That’s it for the Top Ten LEd Grow Lights list from LED Grow Lights Depot. Take advantage of the discounts in this list today because they certainly won’t last forever. How do you mean? Many of them aren’t exactly ‘budget’ lights.